Mums the word . Freshen up your façade with some fall florals! Mums are a wonderful floral to replace your summer annuals with and they are more suitable for fall weather. 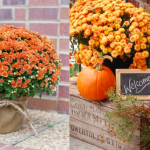 Take advantage of these gorgeous blooms in all varieties of colors appropriate for your fall décor! White after Labor Day? 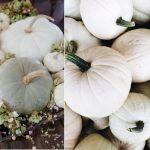 You don’t have to limit yourself to using just your standard fall color tones. You can most certainly create fall fresh looks using whites and grays. White is unexpected and will always go with any decorating style. It gives a crisp, modern take on a space. Fall y’all. Purples, yellows and oranges, oh m y! Fall colors can add so much depth to your space. Touches of plum in maybe a candle votive or even some yellow or gold place-setting chargers can really play into the fall style. Be sure to choose more of the rich, deeper colors, rather than your pastel lighter tones. You can even go as bold as painting an accent wall! Extreme coziness. COVER IT UP! 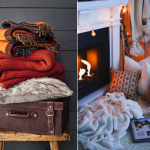 When fall comes around, it is the perfect excuse to add color and texture to a space with fun throws, as well as some great pillows. Blankets and pillows cozy up any seating arrangement in your home. 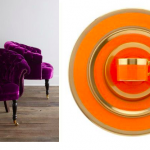 Choose some warm fall color and soft velvety textures that scream warmth. You will be sitting by a fire, drinking a hot pumpkin spice latte, in no time. Black is neutral, too! Don’t be afraid of dar k tones either! Matte black Subway tile is rich and elegant. Black is just the opposite of your white, and black is still a neutral. 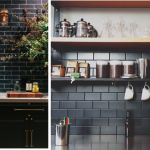 Black pairs with many different tones when thinking about countertops and cabinets. A beautiful addition when working with your rich fall color tones. Stop in to see us and spice up your home for Fall and for years to come.